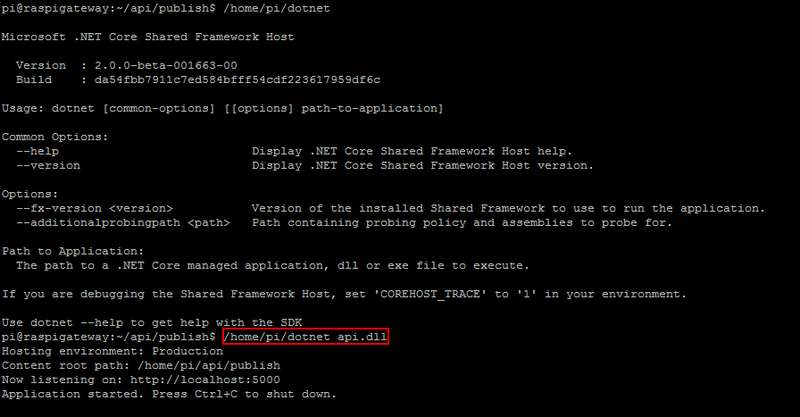 At the end of 2015 I’ve tried to install ASP.NET vNext (later renamed to core) on a Raspberry Pi, but recently .NET Core 2.0.0-beta version came out and some people already had a play with this on an ARM32 environment. Arranging myself a Raspberry Pi 3 and trying this out was next! Via https://github.com/dotnet/core/blob/master/samples/RaspberryPiInstructions.md I found easy instructions to accomplish this. 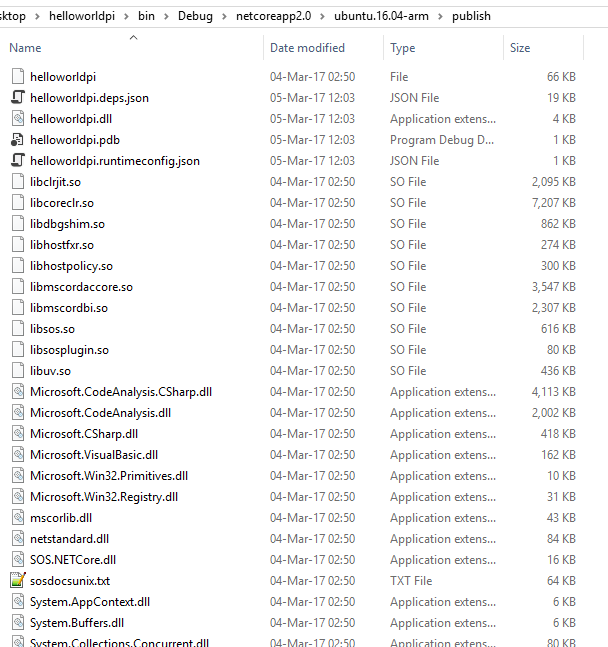 The guide mentions that an .exe should be build, but although my configuration states the OutputType as Exe, I still get a .dll file. Also in the publish directory no .exe file is to be found. Next try is to get a MVC application running on the Raspberry Pi 3 using the 2.0.o-beta version of .NET. It turned out to be as easy as the console application. 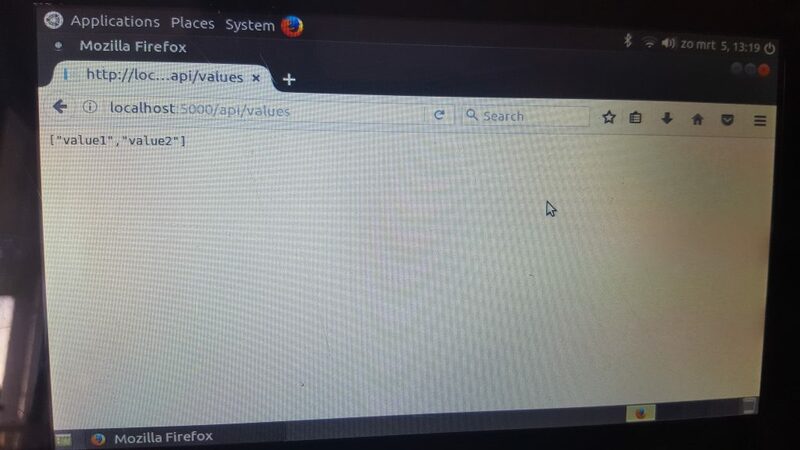 I found out that some others had issues with running a WebAPI project: https://github.com/challe/dotnet-core-raspberry-pi/wiki/Setting-up-a-Web-API-on-a-Raspberry-Pi-3-(Ubuntu-16.04)-using-.NET-Core-2.x, that I found via https://github.com/stevedesmond-ca/dotnet-arm/issues/3. Okay, lets try if this is still the case or I can just get it to work. 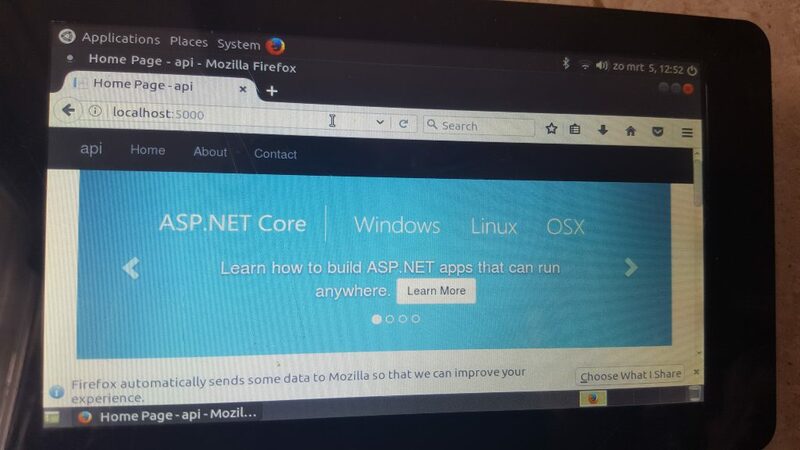 There are a lot of changes since I tried beta8 on a Raspberry Pi, now it would be cool if not only Ubuntu was supported, but I guess that when .NET Core 2 is released also e.g. raspbian will be included. The documentation stated that an .exe file would be produced, that could be run without any other installation on a Raspberry Pi. In my case I got a dll that needed to be bootstrapped by the arm version of the 2.0.0-beta .NET Core version. 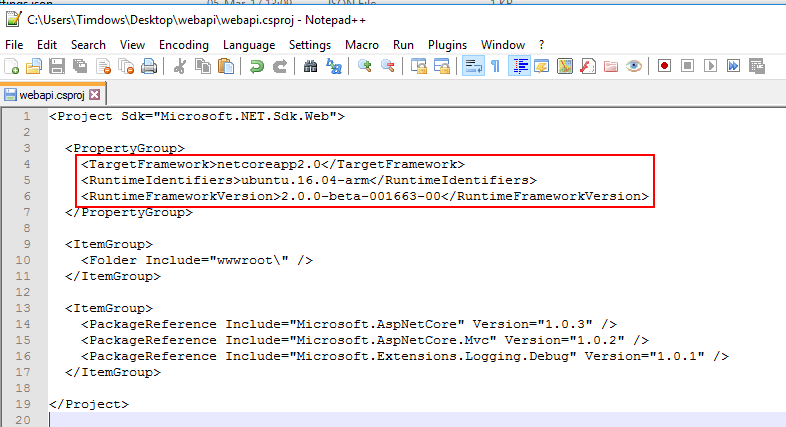 The package references I used throughout the web apps, are not the latest. 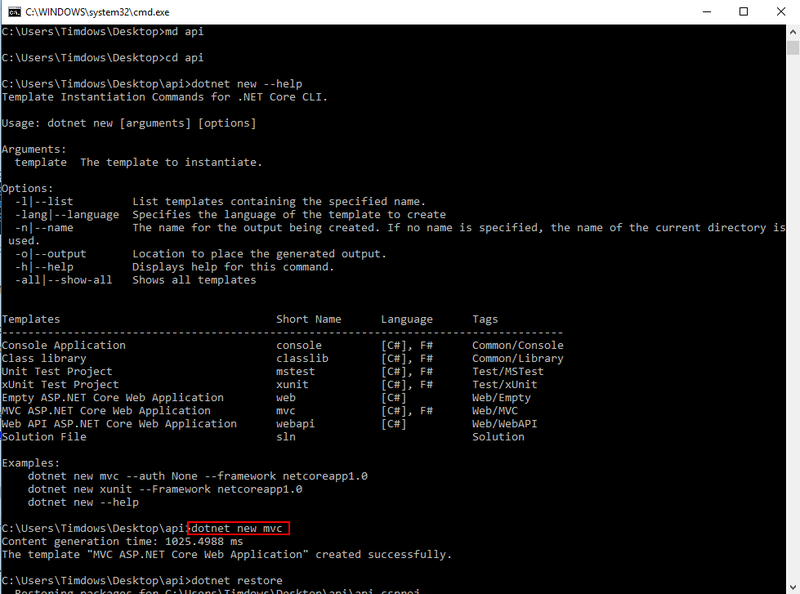 I found that 1.2.0-* is already in preview1, but as the dotnet new command did give me some older versions, and those versions worked, I just stopped there in the beginning. Quick testing with the 1.2.0-preview1 packages didn’t even allow me to run it on my Windows environment. The next couple of months I’ll closely look at the status of other packages, but for now the fact that you can leave out Mono AND use an ARM32 environment looks promising more than ever! Finally 🙂 I can’t wait to try it out! 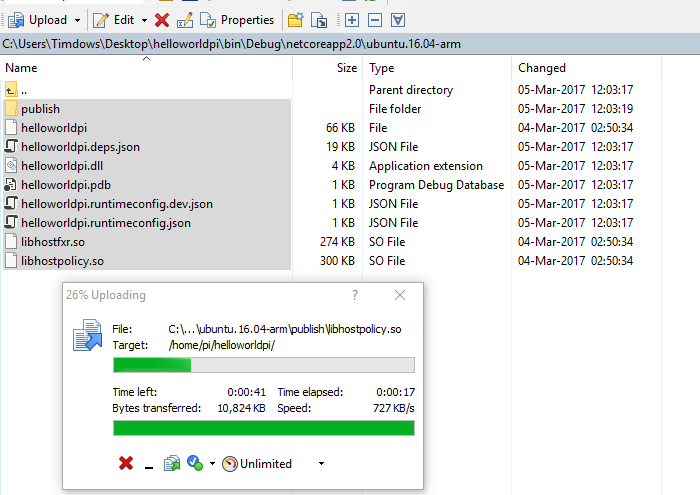 However Vs2017 and latest 2.0.0-beta installed properly. If you aren’t seeing the behavior described. 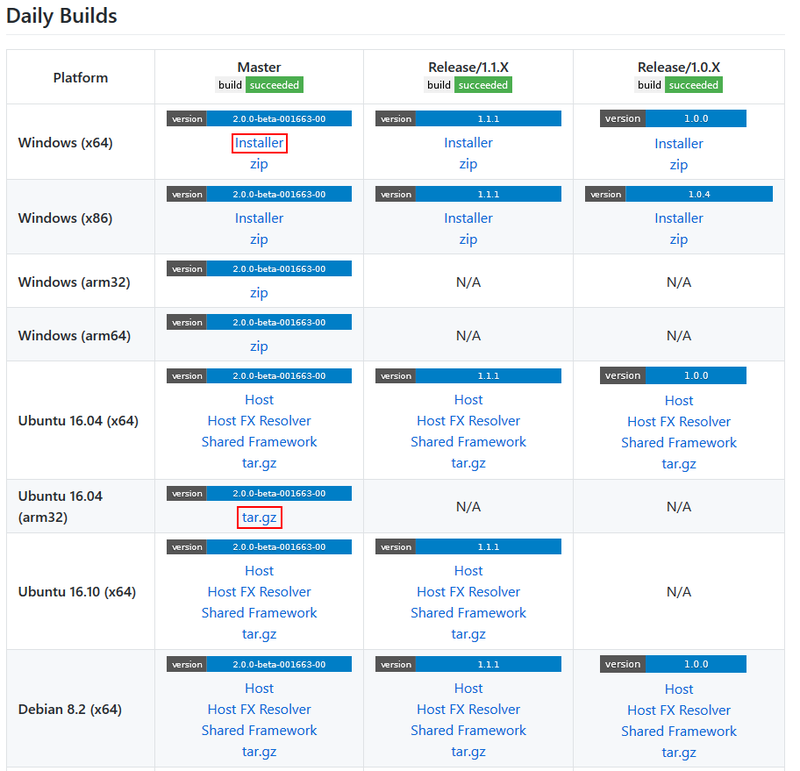 Please open an issue at https://github.com/dotnet/core and mention me @Petermarcu and I’ll try to take a look. Does it work on Raspberry Pi 3 with Windows IoT Core as well? The above tar.gz file is not available (404), I assume because 2.0 is out? Can you please update, or is there another method to follow?